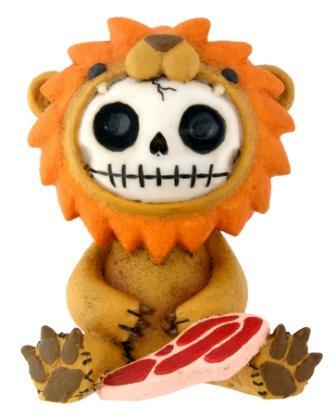 Our furry friend "Monkey Bones", also sold on our site, was begging us for a brother so we found him "Lion Bones". He comes with his own supply of steak and is potty trained. Won't you give him a good home? He's made of cold cast resin and is hand painted and measures 2 inches long, 2.25 inches wide and 2.75 inches tall. Buy both Monkey Bones and Lion Bones and they will love you dearly.